Cartoon stock images are available for licensing and can be used in many ways. Cartoon gag panels and the digital platform work hand in hand together and are a great blend for use on web pages, blog posts and on any of the many social media sites. Long before I launched my cartoon portfolios and web catalogs, an innovative site called CartoonStock agreed to include my single panel gag cartoons on their extensive database of cartoons they offered. It was at that time I realized the potential that the thousands of my own cartoon images offered publishers and other professionals. I assembled my existing archive that you’re currently visiting, into a searchable database of single panel gag cartoons that professionals can easily browse and search from. 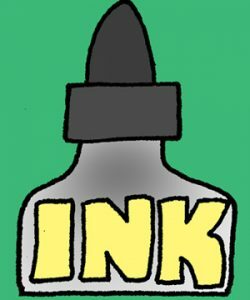 I also provide my illustration services for editors, publishers, authors, consultants and any other professionals who require humorous illustrations or cartoon material that’s needed for any hard copy print projects or digital ventures. Book publishers, writers and book packagers can use my book illustration services to fill open spaces or to accompany a chapter title. 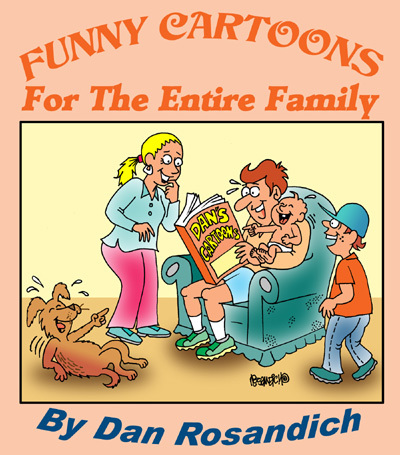 My cartoon panels I’ve created have appeared in books, manuals, ebooks and I invite you to see a sample of some of the various books that use cartoon humor I’ve created. You might also consider the single panel gag cartoon in professional projects as calendars, presentations, greeting cards, print advertising, Facebook pages, your Twitter feed, apparel such as t-shirts, giftware like coasters – mousepads – coozies and much more. 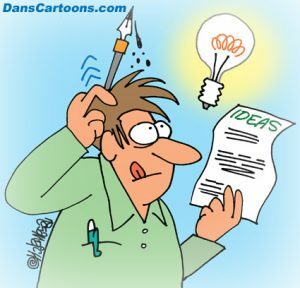 Keep in mind that any cartoon stock images offered in any of my cartoon catalogs can be re-drawn or re-captioned based on your needs or project. There is only one limitation in how you can apply the use of comics like mine and that is your imagination! If you have an idea that you’d like to have input on, I can easily be reached via my contact form or my business email address on that page. If there are any specific questions, don’t hesitate to ask!